Featured in this week’s History of Magic is Joseph Dunninger, who was born on April 28, 1892 in New York City. He was the son of a textile manufacturer. As a self-taught, child prodigy, he became fascinated with magic about age 5, after watching street magicians. He gave his first performance aged 7 for a Masonic Club in New York, billing himself, “Master Joseph Dunninger – Child Magician”. Dunninger specialised in sleight of hand with cards and by age 16 had secured his first one year engagement at the Eden Musee in Coney Island. The Musee was a large entertainment complex / wax works featuring variety acts but it was not long before Joseph Dunninger was signed with the then famous Keith-Orpheum Vaudeville Circuit. 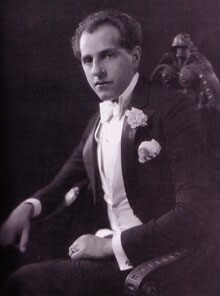 While on tour he became fascinated with a two person mind reading act presented by the husband and wife team Mr & Mrs John T. Fay and from this he developed his single person mental act, reading the minds of his audiences, many of whom were celebrities. At age 17 he was invited to perform for US President Roosevelt and for Pope Pius X11. In his early youth he met Buffalo Bill Cody and Sioux Indian chief Sitting Bull who left marked impressions upon the young Dunninger for their respective strength of character. His voice was to become more recognisable than many radio and T V personalities. He became the first person to hypnotise someone on radio and often did blindfold drives for publicity. Unlike many other mind reading acts of the time, Dunninger claimed he used no confederates or paid assistants, always assuring the audiences, he relied on his own personal mind power. He even had a standing offer of a $10,000 reward to anyone who could prove that he used confederates and the reward was never challenged. He did have a few detractors but no one ever claimed the money. However it is well known that he did in fact use secret, paid confederates, including his manager David Lustig who became known as the ‘Invisible man’, working very much behind the scenes and he scripted many of Dunninger’s routines for radio. His one man mental act gained him quick attention and fame that soon led to private show engagements and demand in the vaudeville houses. He was called upon to entertain a number of American presidents and at the homes of many celebrities and people like Thomas Edison, and was much admired for his work and mysticism. He became a real mind reading giant with a strong compelling voice and personality. His skill and ability to read minds grabbed the attention of friends Harry Houdini and Howard Thurston and the three of them took part in crusades against fraudulent mediums and became responsible for the exposure and downfall of psychic charlatans. Dunninger also offered $10,000 to anyone who with the aid of “The Spirit World” could translate the coded messages entrusted to him by Harry Houdini and Thomas Edison. He began to read the thoughts of famous dignitaries, princes, movie stars, royalty and his fame would grow dramatically with the advent of commercial radio. He became the first magician to capitalise on the world of radio to promote himself and became a master of publicity and showmanship. 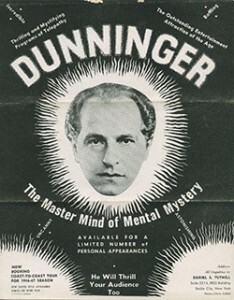 Dunninger was an accomplished magician, escapologist, and mentalist but his strength lay in his famous radio mind reading presentations after his first broadcast on September 12th, 1943 billed as “Dunninger the Master Mind”, that became an instant success. The great thing about his radio broadcasts is that many of his programmes were recorded, so that we have an audio record of a number of his original broadcasts across the airwaves. Fan mail began to flood the radio stations and tickets for his shows became eagerly sought after. He was to become a huge success through the medium of radio shows and later had the same success on television. He would reveal serial numbers on bills and dates on coins or someone’s date of birth, social security numbers, and words and phrases chosen by audience members. He predicted newspaper headlines and always had a celebrity guest who formed part of the stage committee. People like singer Roy Acuff, Bob Hope and Richard Rogers, Lucille Ball, Jayne Mansfield, in fact dozens of film stars. He stopped using illusions and props and would sit on a stool or chair with just a pad and pencil without the need for the appeal of gaudy props or illusions when he was performing as a mind reader. Dunninger also had a very direct, commanding manner to lead and instruct his participants to follow his instructions implicitly. As Dunninger’s success rose he began to write articles for a number of magazines like Time, Vanity Fair, Readers Digest, Science and Invention, Life and SAM, the Society of American Magician’s journal ‘The Sphinx’. He also used his good friend magician /author Walter B Gibson as a ghost writer for a number of his books. They collaborated together on his last book that was titled ‘Dunninger’s Secrets’. I’m sure that many magicians will have a copy of the very large ‘Dunninger’s Complete Encyclopaedia of Magic’ on their shelves too. During a tour of England during World War Two he was invited to perform for British Prime Minister Winston Churchill at the war office. Taking a deck of cards Churchill was invited to place cards face down on the table into separate piles of what he felt were red or black cards. When the cards were turned over one pile was all black and the other all red cards. 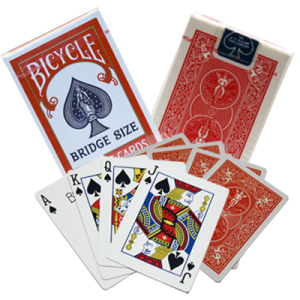 This particular card trick had a profound effect upon Churchill that most readers will quickly recognise as Paul Curry’s, “Out of this World”. Dunninger was once asked how he did what he did and replied, “Any three year old child could do what I do – with thirty years practice”. However he often claimed he used ESP or telepathy techniques and enjoyed using Dai Vernon’s Brainwave deck that was carefully disguised in his routines. Joseph Dunninger was fortunate to not only become famous as a radio personality but with the advent of television he became highly successful also through this new entertainment medium. Fortunately many of his TV programmes were recorded via the Kinescope. Very often mentalists make a disclaimer prior to their performances while Dunninger quite often began his shows with magic tricks by performing the Linking Rings, or Egg Bag. Whether he did this as a disclaimer or not we don’t know. Perhaps he was saying “This is magic but what I do later is done purely with my mind”. One of the highlights of his stage mental act was his “Brain Buster Effect’, finales. These were usually elaborate mental masterpieces in the form of a prediction or spectacular stunt like causing a crystal wine glass to shatter. These usually involved a celebrity. Many of today’s mentalists discussion groups found Dunninger’s Brain Buster explanations and methods eluded them. Some explanations came forth but most remained purely speculation as to how he accomplished his Brain Buster mind reading. Joseph Dunninger’s final television series for the ABC network was recorded but never broadcast in 1971, by which time he was suffering from Parkinson’s disease and had to retire. He passed away at his home in Cliffside, New Jersey on March 9th, 1975 aged 82. The man became a legend in the history of magic and he can be considered perhaps as the mentalist of the century, with many of his secrets taken with him. On the day he died, he was awarded a special acknowledgement from the Association of Magical Arts and Sciences – The Magic Castle in recognition of his work.